Why Do I Need A Land Survey? 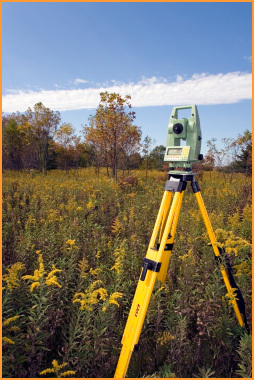 A land survey is performed by a registered land surveyor for the purpose of describing, verifying, mapping, and monumenting the boundaries and improvements of a parcel of land. It may also include the design and layout of new lots and streets, the determination of the physical features of the land parcel, and the location of buildings and other improvements upon the land. A land survey will locate on the ground what your deed describes on paper. To protect the investment you are about to make when buying land. Be sure before you purchase it, the deed describes the land you are buying. If you are buying or selling a piece of real property, most lending institutions will require a current survey for the purpose of revealing potential problems with boundary lines, easements, and encroachments. If you are getting ready to build a fence or other improvement near a property line.